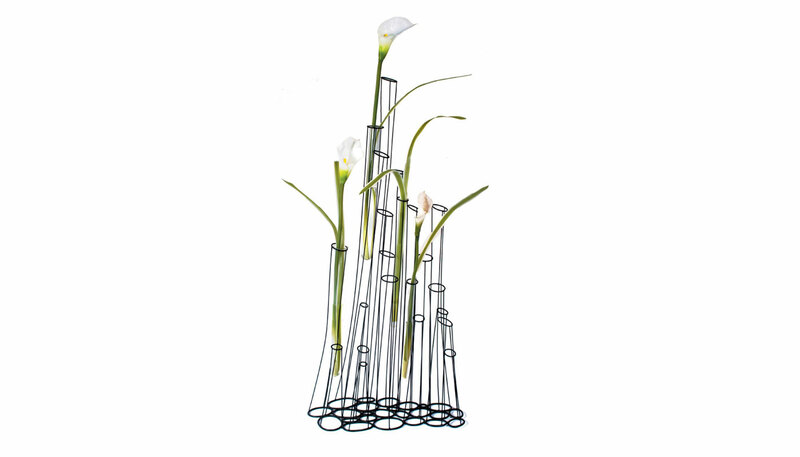 Vase, available in three sizes, constructed of metal wires which are bent and welded to resemble freehand sketches in space. Powder-coated metal frame and glass tubes. Manufacturedby Kenneth Cobonpue. Price includes shipping to the USA.